Dubai, UAE, March 31, 2019: Spring’s the time to smile, and what better time than now to flash those pearly whites. Teeth whitening is one of the most popular treatments in cosmetic dentistry today because it is a very safe, gentle and reliable way to improve your smile and confidence! And the good news is that the service comes at a very good price too. 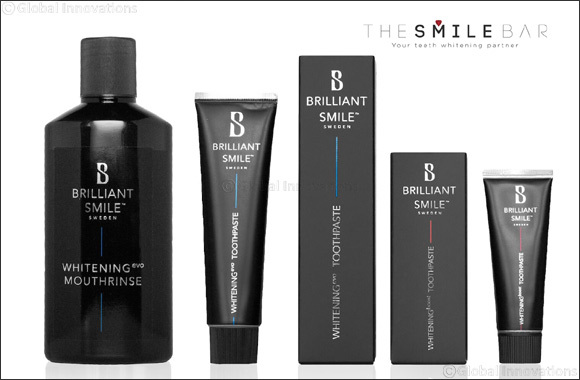 The Smile Bar, well-known for its superior teeth-whitening services in Dubai, is celebrating the month of April with a limited-time 30% OFF on its popular Triple Whitening session (3 x 20 minutes at AED 850) to bring that brilliance back into your smile. Using a revolutionary Swedish Technology in a spa-like ambience, this session will give you brighter whites in just 60 minutes! There’s no better time to spring into action and get those teeth whitened. That’s not all, The Smile Bar is also offering a 20% discount off all other teeth whitening sessions which include Single Whitening (1 x 20 minutes at AED 290), Double Whitening (2 x 20 minutes, AED 570) and Premium Smile Bundle (12 x 20 minutes, AED 2,900).